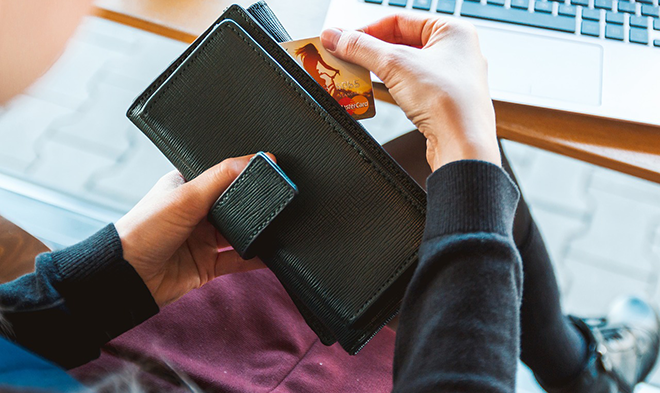 Here’s a question for you: When you pay your credit card bill every month, do you pay the minimum amount only, or pay more than the minimum amount? It turns out, far too many Canadians don’t fully realize the benefits of doing the latter. Paying more than your minimum payment comes with more benefits than you might realize and, it would seem, it might become even more important in the near future. The credit bureau, TransUnion, recently collected data regarding Canadian attitudes towards paying their credit card bills. It found that more Canadians than Americans, more than a third of us, are less than certain what the upsides are to paying more than your minimum payment. So, let’s take a look at those upsides, shall we? This comes with a whole pile of benefits, including lowering your credit usage percentage, minimizing the amount of interest you are paying on your debt and increasing your overall credit score. Providing you’re not using more of your credit each month than you’re paying down, your minimum payments are going to become smaller and easier to handle. If your goal is to be debt-free, just paying the minimum payment on all you’ve borrowed each month is not going to do the trick. You’ve got to get aggressive with your debt to see it eliminated. You’re going to open yourself up to better interest rates, rewards, and terms on all that you borrow in the future. Soon, how much you pay back each month on the money you’ve borrowed might become even more important, as TransUnion has talked about incorporating what’s called Total Payment Ratio or TPR into your credit score calculations. TPR is a number you reach when you divide your total monthly debt payments by the minimum payment. The higher your TPR is, TransUnion says, the less likely you are to have any delinquencies on your credit report. In practical terms, what this means is that when you make payments that are bigger than your minimum payment, it could hold extra weight in your credit score calculations. Beyond just being good for reducing your credit usage percentage, it will also take into consideration how much you pay each month directly. So, make it a habit to pay down your debts faster. Never just pay the minimum payment, unless you can't avoid it. You’re going to save yourself interest and open yourself up to all sorts of new borrowing terms and rates. You’ll have a better credit score and smaller minimums in no time. Are there other benefits to paying down your debt faster? Let us know in the comments!